One of my most promising new sources of audio horror is Eric D. Cota’s Sudden Chillers. In his role as “The Chiller,” he both knows how to write and tell great original horror fiction. He also knows the importance of mood and instructs his listeners to turn down the lights and turn up the volume in order to maximize the sense of fear. The interludes of scary music and sound effects also add to the overall feel. 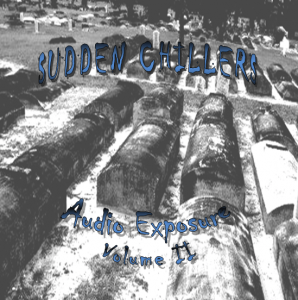 Sudden Chillers: Audio Exposure Volume 2 opens with the Chiller’s welcome in “Exhumed.” “Reflections of a Corpse” brings us to another funeral home. This time, a new employee loads corpses into storage and wonders just what happens when we die. The crematorium scene is especially gripping thanks to its use of sound effects. “Dog” deals with a beloved family pet and a robbery gone wrong. Telling you more would only spoil the fun. I don’t know what the eeriest part of “Deterioration of Age” is. It’s either the Chiller pontificating on the nature of death or the eerie kid laughing. A man is haunted by faces he sees everywhere in “Faces in Madness.” I just love the final line. “Soup” starts with a man making soup. And the ending? As if you don’t know what a horror tale about soup would be like. “Interment” closes things out as the Chiller takes us out as he makes the listener imagine themselves as a corpse in the earth. 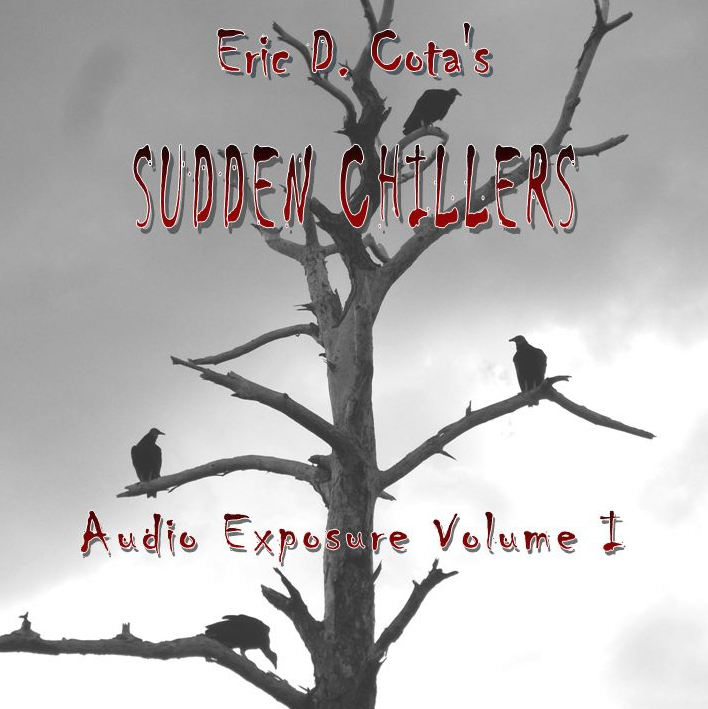 As you can see, the Sudden Chillers series offers original tales of terror paired with excellent music and effects. The audio is crystal clear and my only complaint is that I wish there were more (and longer) stories. I was reminded of online creepypasta readings, but this albums will definitely still appeal to those who don’t care for such things. As long as you can handle mature language and descriptions of violence, you should be fine! In the age of digipacks, it’s nice to have discs still being offered in jewel cases. So if you want to order your own copies (or listen to some samples), just head on over to the Sudden Chillers website. But that’s not all! In addition to the upcoming third release, he also has plans for the book Sudden Chillers – Dark Tales from Haunted Woods and is currently trying to get a short film adaptation of “Soup” off the ground. You can keep up with all the developments at the official Sudden Chillers Facebook page. Special thanks to Eric D. Cota for use of the images!